Dubai, March 2 - Roger Federer has won the Dubai Duty Free Tennis championship for the sixth time, rallying from a set and a break down to defeat Tomas Berdych 3-6, 6-4, 6-3. The 32-year-old Federer won his 78th Tour title Saturday night to leave John McEnroe behind and move into third in the all-time title leaders list, reports ATP Tour website. This is his first hard-court title since the 2012 Western & Southern Open and now trails only Jimmy Connors (109) and Ivan Lendl (94). The Swiss has won at least one ATP World Tour title every year since 2000 and has equalled Lendl's record for a 14 year period. 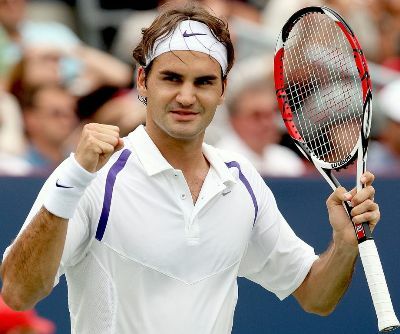 Saturday's victory saw Federer pass the $80m mark in career earnings.